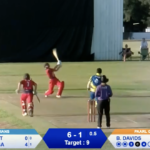 There was terrific skill on display during the ICC U19 Cricket World Cup Africa qualifying tournament, which proved to be a roaring success. 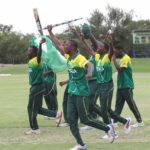 Nigeria secured a dramatic, first-ever spot in the ICC U19 World Cup in 2020 after they beat Sierra Leone by two wickets on the final day of the Africa qualifying tournament in Namibia. 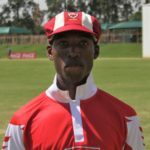 Sinethemba Qeshile’s inclusion in the South African T20I team this week was, in many ways, the logical conclusion of a process that has been going on at East London’s Hudson Park High School for the past 17 years, writes THEO GARRUN. 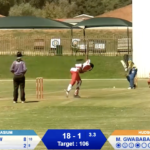 Not content with stunning Namibia on the first day of the ICC U19 Cricket World Cup Africa Qualifier, Nigeria held their nerve to beat Uganda and took a big step towards the 2020 World Cup in South Africa. 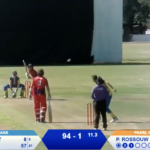 Highlights of Sunday’s Schools T20 final, which saw St Stithians beat St Charles by 53 runs to take the title for a record fourth time. 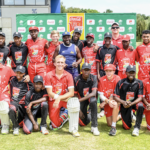 The Coca-Cola All-Star team completed a ‘dream’ weekend with a hard-fought win against a CSA Hub team in a curtain-raiser to the 2019 Schools T20 Challenge National Finals in Pretoria. 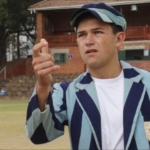 St Stithians beat St Charles by 53 runs in the final of the Schools T20 Challenge on Sunday to take the title for a record fourth time, writes THEO GARRUN. Live action from the morning’s matches in the T20 School Challenge National Finals at the Powerade High-Performance Centre. 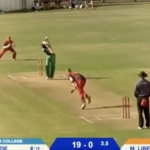 St Stithians and St Charles College continued their winning ways at the Schools T20 Challenge national finals to finish day two with four wins out of four each, writes THEO GARRUN. Live action from the afternoon’s matches in the T20 School Challenge National Finals at the Powerade High-Performance Centre. Day one of the T20 School Challenge National Finals kicked off on an exciting note at the Powerade High-Performance Centre. 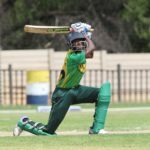 St Stithians (the Lions champions) and St Charles (representing the Dolphins) were the only teams to come through the first day of the Schools T20 national finals in Pretoria on Friday with two wins out of two, writes THEO GARRUN. 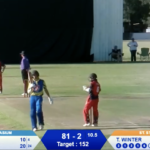 Friday’s live action from the T20 schools finals, brought to you by Pitchvision and Cricket South Africa. 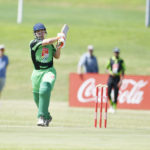 St Andrew’s College of Grahamstown will be at the Schools T20 national finals in Pretoria this weekend, but it’s been a touch-and-go thing, writes THEO GARRUN.